Apple Pay is a great mobile payment service, its awesome time saving and much secure than using traditional cards like you put out your card from your pocket and uses on swiping machine. 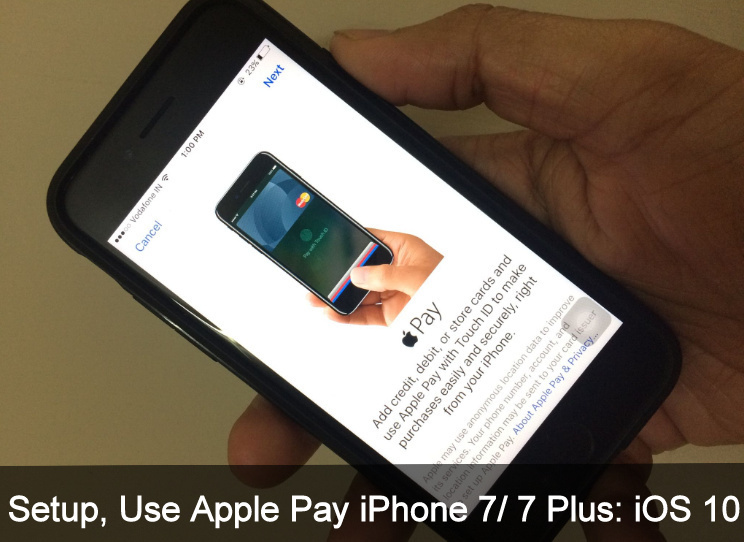 In addition, Apple Pay is very easy to use because it works with the iOS devices that you’re using every day. 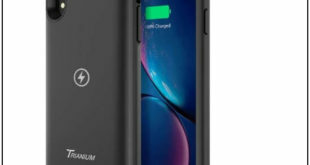 But to use Apple Pay, you will have to add Credit/ debit cards for quick Payment with Touch ID or Passcode to make a purchase simply and securely, right from your Apple iPhone. Let’s learn here how to set up Apple Pay? And use Apple Pay on iPhone. Here’s a walkthrough will let you to Setup Apple Pay on iPhone (iPhone XS, iPhone XS Max, iPhone XR, iPhone X, iPhone 8 (Plus), iPhone 7 Plus, iPhone 7, iPhone 6S, iPhone 6S Plus, and earlier models) running iOS 12. Pay With Apple pay on iPhone X, XS, XS Max, XR: Pay With Face ID, Activate Face ID for Validate using Double Tap on Side button just like you are using Touch ID on iPhone 8/8 Plus and Earlier model. Validate Apple pay on iPhone X: App Store, Retail Store. 2. Now, you have to scroll down to Wallet & Apple Pay – will appear you close to the iTunes & App Store settings. 3. Tap on Add Credit Cards or Debit Card waits until loading next screen. (Note: you may be required Apple ID and Passcode so please enter it and go next. 4. On screen, you can read Apple Pay instruction for more details and after that Go on Next – top-right side on the screen. 5. Now be ready to position your card in the frame. You can add by scanning Card or by entering Card detail manually. While your scan your card at that time card number automatically enrolled but you have to type your Name and then tap on Next. Here Read terms and conditions and Tap on Agree, in a popup – again tap on Agree. Wait for your phone settings up a card for Apple Pay and adding to the wallet. 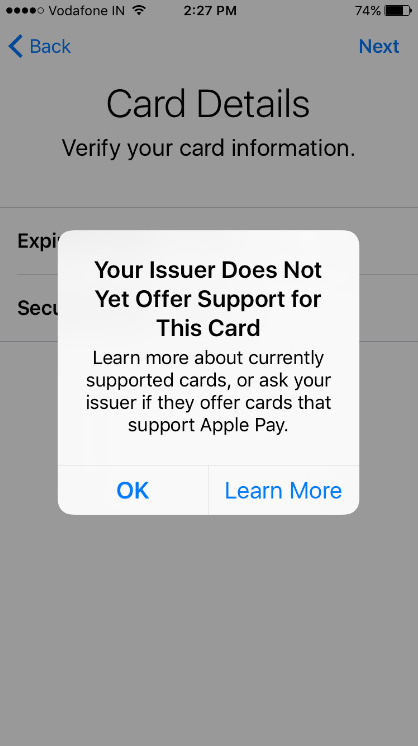 Even If your issuer means Banks does not support Apple Pay service then you will get an error message “Your issuer Does not Yet offer Support for This Card”. For that, there is not any solution to fix the error message. Hence, you will have to wait until your bank support Apple Pay service. Alternatively, you should try to add another card which offers Apple Pay system, if you have. Because Some of the banks may not support all card types. After successfully set up Apple Pay card, you got the message your card has been added to the wallet. For security purpose, Credit or debit card verification must be required. 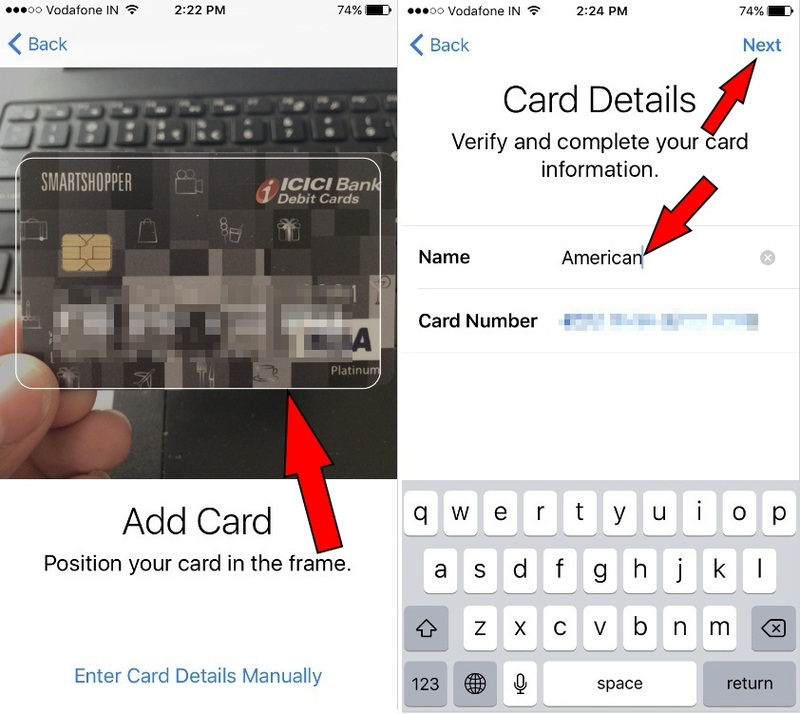 Therefore, choose how to verify your card to Apple Pay. By Text message or via Call. Then Next, if you choose Text message then you will get a Code on your registered cell phone number. Enter the Code to activate your card for Apple Pay. I think you have a question that the, how many cards can I add to Apple Pay? As per Apple Site, a user can add maximum eight cards on any device. For that, you have to add a card to each device separately. 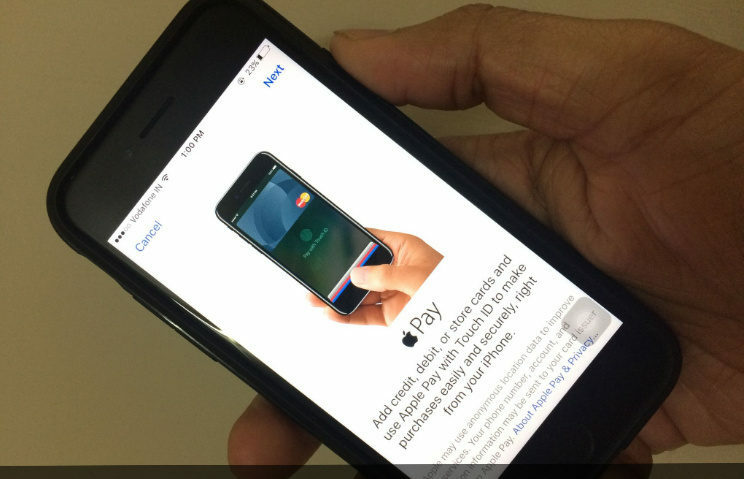 Now you will have to know that how to use Apple Pay with iPhone. Get the guide at below. Easy to use Apple Pay at stores, within Apps, and on Web sites in Safari iOS 11/ iOS 12 and macOS High Sierra/ Mojave. Just take and hold your iOS or Apple Watch near to the contactless reader and make payment with Touch ID (place finger on Home button). Take a note: Still, Apple pay is available in thirteen countries included United States, United Kingdom, Canada, Australia, China, Singapore, Switzerland, France, Hong Kong, Russia, New Zealand, Jap, n and Spain.